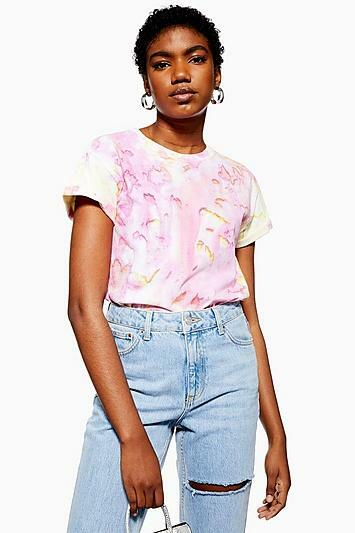 Think Pink The Retro Way With This All Over Tie Dye T-Shirt. Pair With Some Ripped Blue Light Wash Denim For A Laid-Back Feel. 100% Cotton. Machine Wash.